Searching for reliable Bellingham water leak detection and repair services? Get in touch with the trusted professionals at Eagle Plumbing & Heating. Call us today at (360) 318-9999. For discounts and savings on our services, click here. Eagle Plumbing & Heating is the trusted company to contact when you are in need of expert service in Bellingham and the surrounding areas. We are dedicated to helping each of our valued customers improve the condition of their homes with our extensive range of plumbing services. Our experienced professionals offer specialized leak detection and repair services to help protect your home from severe water damage and ensure the safety of you and your family. In the event of an emergency you can call us anytime, day or night, for fast and reliable service. 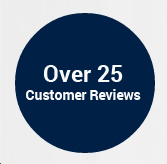 To read reviews and testimonials from other customers in your area on our outstanding services, click here. What are some common causes of hidden water leaks? Many of our customers contact us because they believe they have a leaking pipe. Some leaks can be very difficult to locate, and in certain cases this issue can go completely unnoticed until a major problem occurs. That is why our professionals are always available to homeowners in and around Bellingham, offering highly effective leak detection services, so necessary repairs can be made quickly and without any further complications. During the winter pipes in your home have a tendency to freeze, inhibiting water from flowing through them properly. This causes your pipes to expand and may eventually lead to a burst. Even a small leak from a pipe can quickly grow in size, which is why it is important to schedule regular inspections and timely repairs. Pipes can also deteriorate with age, and may gradually develop a leak over time. Hidden water leaks can additionally develop in the pipes outside your home. These leaks may be due to shifts in the earth, damage caused by improper landscaping work, or even tree roots that make their way into your pipes looking for an additional water supply. There is no guaranteed way to prevent leaks from occurring, but you can take steps to minimize the risk of damage to your pipes. For example, you can wrap your exposed pipes during freezing weather. You can also pay attention to where the pipes run in your yard when you are working on landscaping projects. If your home is older, you can schedule a pipe inspection to determine if sections have deteriorated and may need to be replaced. The certified professionals at Eagle Plumbing & Heating offer professional repiping services in the event of an issue. What are the dangers of leaking pipes? Regardless of whether you are dealing with a slow or fast leak in your pipes, you need to contact the expert professionals at Eagle Plumbing & Heating to request professional services. There are several dangers associated with leaking pipes, which can most often by circumvented by having them repaired immediately. For example, a leaking pipe will significantly increase your water bills, and this problem will continue until the leak is fixed. Water leaks inside your home can cause severe damage to floors, drywall, furnishings, and other features in your residence. Pooling water can also create the perfect environment for mold and bacteria, which can be hazardous to your family’s health. If the water leak is located outside your residence, it can potentially cause damage to your yard and wear down the foundation of your home. For expert leak detection and repair services in your area, contact the specialists at Eagle Plumbing & Heating. Call us today at (360) 318-9999.